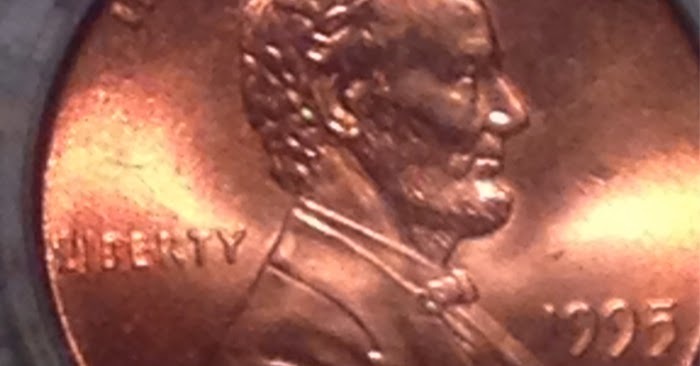 Although not as spectacular as the famous 1955 Double Die Lincoln, the 1995 DDO can be seen with the naked eye by most people and a small amount of magnification will make it extremely obvious to anyone. Very obvious doubling like this was caused during die production - the die hubs had to be impressed at least twice to bring up the necessary detail and heated between pressing. Sometimes the operators wouldn't get things perfectly lined up on the second (or third) pass and doubling like this results. 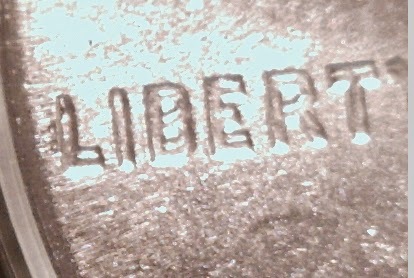 As the operators are usually quite accurate, most such doubling is quite small and difficult to discern without magnification, but now and then something like this slipped by. I said "slipped" rather than "slips" because shortly after this the Mint went to "single squeeze" hubbing and this particular type of doubling is now not possible. With single squeeze, it's still possible to get doubling, but it will be minor and confined to the center of the coin. See "Doubled Dies" for an explanation of what happens.